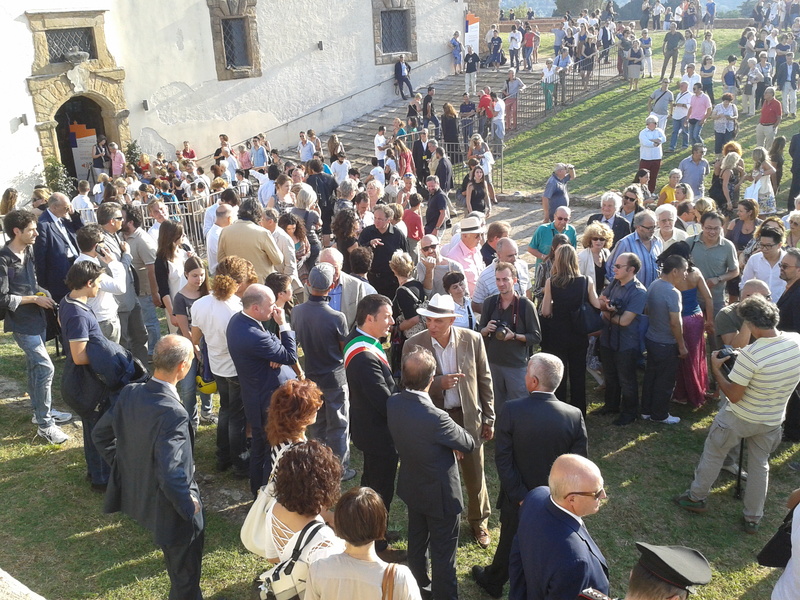 Earlier last July a grateful crowd of Florentines invaded the awesome terraces of the 16th century Forte Belvedere to celebrate the re-opening of the hill-top fort after 2 tragic accidents had caused the closure of the entire area in 2008. The Mayor of Florence, Matteo Renzi, hosted the ribbon-cutting ceremony and delivered the speech commemorating Luca Raso e Veronica Locatelli, the two young victims who accidentally fell over the high ramparts after having tried to climb over the edge of the walls. The first tragic event occurred in 2006, followed by a second accidental death in 2008, thus forcing the Council to close down the fort and review the security and lighting systems of the entire area. 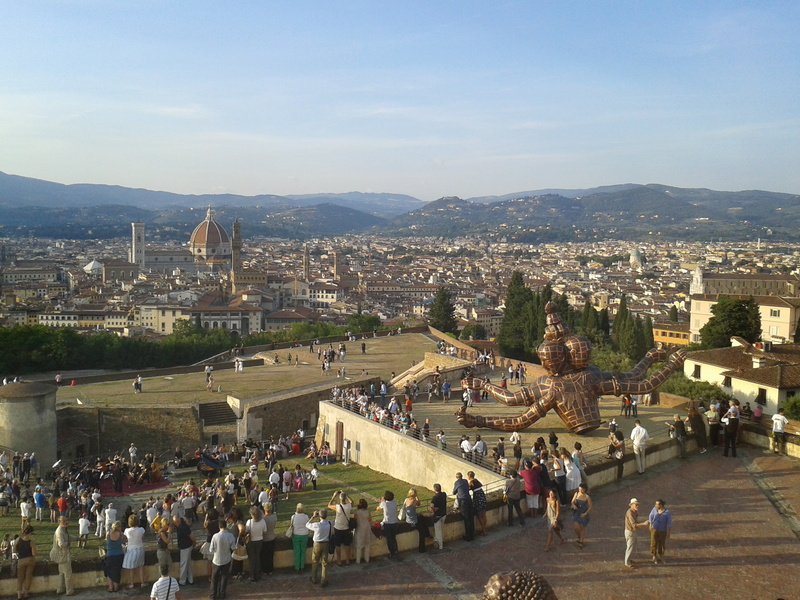 The good news is that the most beautiful view in Florence is now open again to visitors and residents, for them to enjoy the breath-taking environment, while the bad news is that the trial, which was brought against the local authority management to establish the responsibilities, is still under way after 5 years and that the safety measures upgrade still seems not up to the delicate task of preventing risky behaviours more effectively. The ceremony commendably conveyed the city’s dismay towards the pain of the two families for the loss of their loved ones, as well as it succeeded into honouring Luca’s and Veronica’s memory; also it was encouraging to realize how great were the efforts made to re-establish the proper access to one of the symbols of the Renaissance beauty, however one couldn’t help feeling somewhat uneasy about the precariousness of the recent breakthrough. What are the actual plans for the Forte’s destination after the current exhibition? Would the full access, including night visits after 8pm, be ever re-established? Will a more complete set of facilities – a well stocked-up cafeteria just to mention the more obvious one, be re-opened any time soon? Who’s going to contribute the curatorial and artistic direction of the venue in the next future? Will young curators be ever allowed to take an active part in the current debate on contemporary art and practice in Italy? 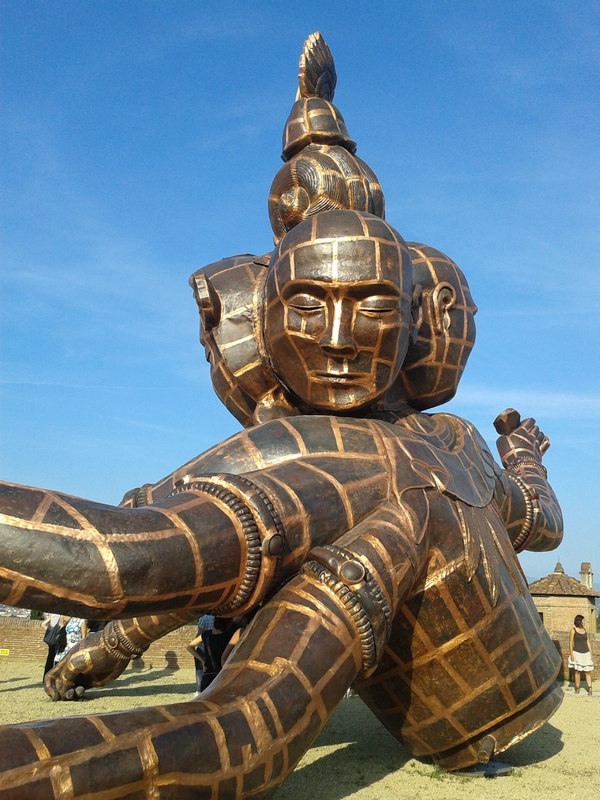 Well, these are only a few questions that popped into my mind as I was visiting the Forte for the first time in 5 years and recalling the past happy occasions, where I could enjoy a drink at sunset or even wander around the most beautiful backdrop for an evening visit to the latest show. The subject-matter of the solo show by the Chinese artist Zhang Huan “Soul and Matter” seemed to fittingly serve the purpose of the Council, whose main concern was to allow the reconciliation between the town of Florence and the past tragic events occurred at the Forte. Zhang Huan’s spiritual and intimate approach to life is highlighted by the investigation on the possibility for the Eastern and Western religions to find common grounds in dialogue and mutual understanding, while the use of incense ashes from the Buddhist temples as means to recreate new artwork, fills the exhibition area with a sense of immortality . 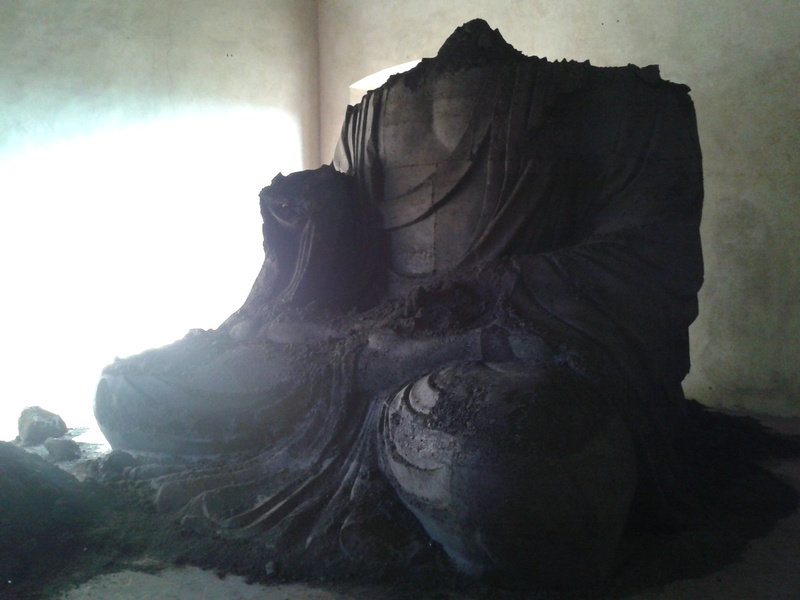 In the last few years Zhang Huan has developed the practice of reusing the burnt incense as his favourite sculpting material for his mammoth creations: the Berlin Buddha is the result of two components, one is the external aluminium Buddha, the other is its interior, made by casting dry ash in it. 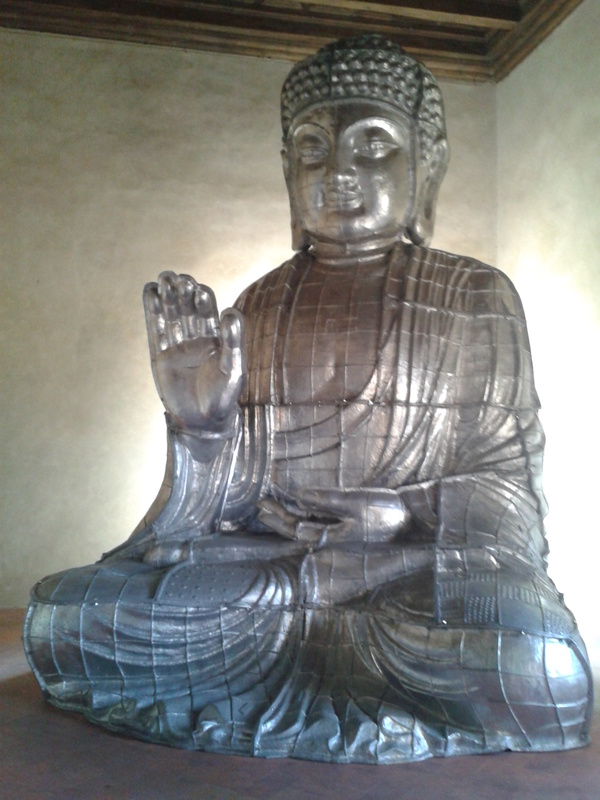 In 2007 these two sculptures were installed facing each other, so that, as time went by, the environment would affect the work and, as the floor would tremble with movement, ash Buddha will also change and fall into pieces. Ticket offices close one hour before.